The Olentangy Local Schools board of education unanimously approved a five-year contract extension for Superintendent Mark Raiff. The extension provides Raiff with a 4.5-percent salary increase effective Aug. 1, adjusting his total annual salary to $175,000. The agreement allows the district to remain competitive with superintendent salary rates at similar school districts in the region. Raiff has been Olentangy’s superintendent since 2015. “The agreement ensures stability in leadership for a long period of time, which is critical to the district’s sustained success,” said Board President Roger Bartz in a prepared statement. Raiff’s salary was $160,000 when the board approved his three-year contract in June 2015, according to The Gazette’s archives. Before the new contract was approved, his salary was $167,281 with cost-of living adjustments included. Raiff said he was honored. During his first two years at the district’s helm, Raiff oversaw the successful passage of a bond issue that is now funding construction of the district’s fourth high school. He also led Olentangy through one of the largest redstructuring efforts in the district’s history and directed the recent relocation of its administrative staff in order to free up space for preschool classrooms. “Mr. Raiff’s experience and forward-thinking approach have been invaluable in navigating the district to a position where it can continue to accommodate for its growth while remaining committed to its mission to facilitate maximum learning for every student. This agreement ensures that leadership continues,” Bartz said. “He is tireless advocate for our taxpayers as well,” Bartz said at the meeting. Raiff has met with state legislators to push for fair funding since the growing district now receives less money than private schools receive in state funding. Raiff began his administrative career serving as assistant principal at Bexley High School and then at Westerville South High School. He served as the principal at Westerville Central High School before coming to the Olentangy Local School District. 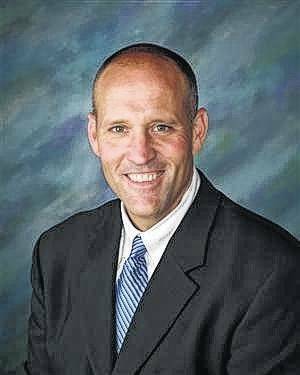 With Olentangy, Raiff was the assistant principal at Olentangy High School for three years, principal at Liberty High School for four years, and the chief academic officer for the district for five years. He is the first internal candidate to ever be promoted to the position of superintendent with Olentangy Local Schools. The board also recognized Olentangy students for academic and extracurricular achievement.